Bill is a senior executive with over 30 years of experience in sales, marketing and strategic account management with IT and telecommunications organizations. In his role at ITSMA as part of the ABM practice, Bill helps companies identify and prioritize accounts with high growth potential; facilitates account planning workshops that include both account managers and Account-Based Marketing professionals; creates effective account plans, tailored value propositions; and engagement strategies to help ITSMA members and clients accelerate growth with their strategic accounts. 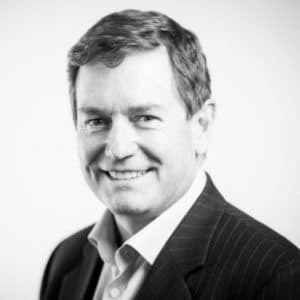 Bill has held senior roles in sales, marketing and account management in Fujitsu and strategic sales roles in Vodafone, IBM and HCL. Bill was the Client Executive and Strategic Sales Lead for Fujitsu’s largest Private Sector ITO contract worth £500m, which leveraged Account-Based Marketing principles now refined and developed by ITSMA. Bill engages at the CXO Level with Fortune 500 companies to test value propositions and refine go-to-market strategies to ensure maximum impact with customers.